What started as a simple concept in 2010 has now become a 3 part masterpiece imprinted into the fabric of House Music. 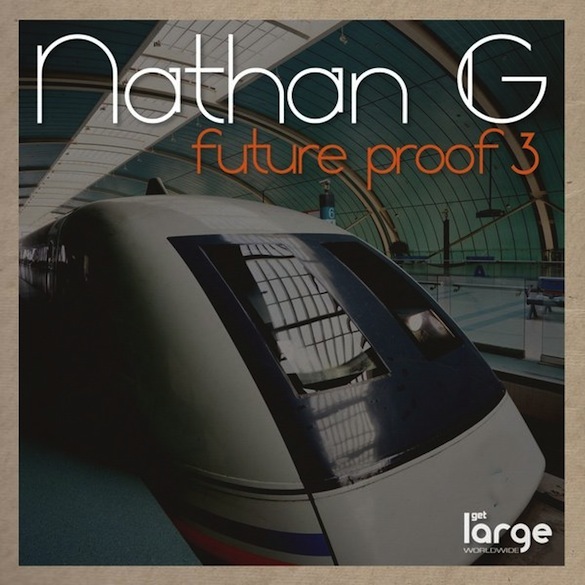 **Nathan G flexes his tireless deep house muscles once again for the newest installment of Future Proof and the third time, as the saying goes, is a charm. Completing the supersonic trilogy, Future Proof 3 holds testament to the series’ bold name and ideals, once again magnifying three vivid, modern-spirited adventures from the deep. ‘Tears From The Ghetto’ cries classic in the making, whilst the piano led ‘History Repeated’ etches with acid, some powerful builds and reflections to full on party effect. Finally ‘What A Beautiful Day’ concludes this futuristic fable, slow-burning a tale of today with a more dreamy nu-sound for tomorrow. Full support from Lovebirds, Roberto Rodriguez, Lee Curtiss, TJ Kong, Luke Solomon and more.